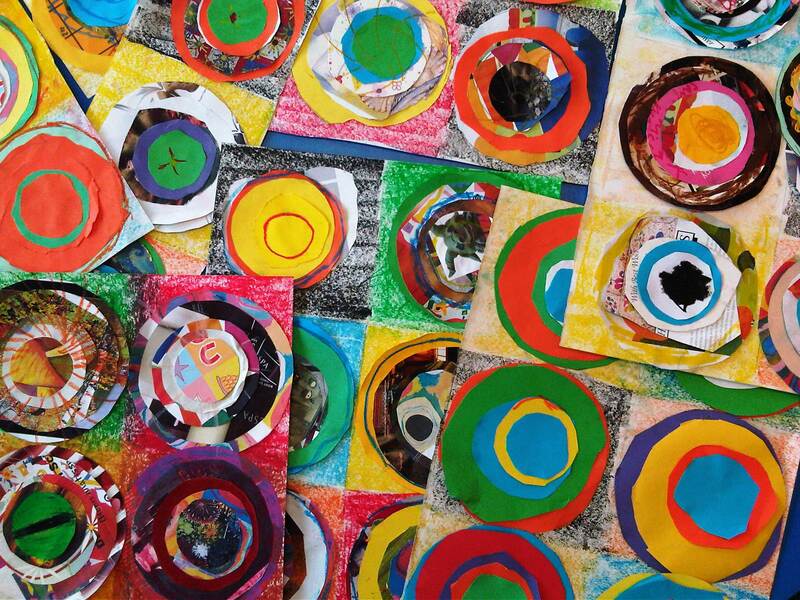 I worked with both KS1 and KS2 children to recreate Kandinsky’s famous painting using collage. 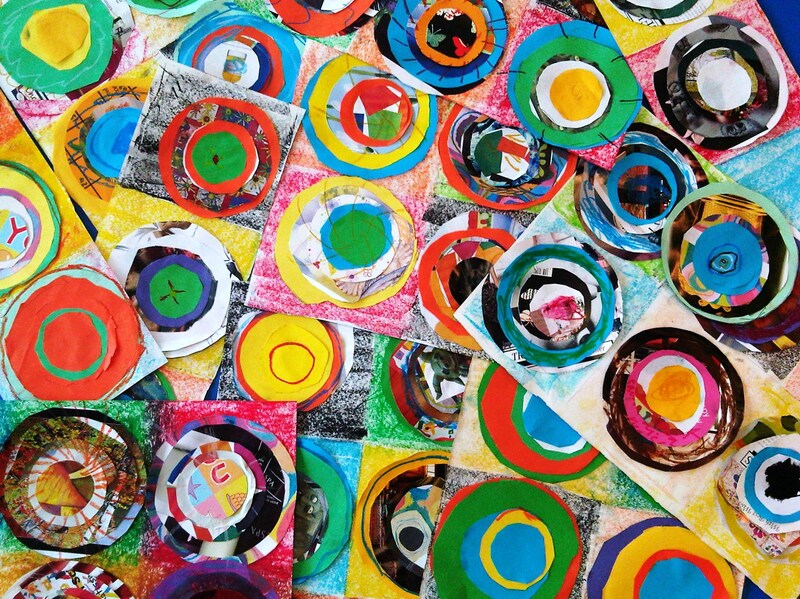 For KS1 children, I pre-prepared the circles by cutting out old greetings cards, magazines and any other colourful paper and card in a range of sizes. For the KS2 children, I provided a sheet of different size circles for them to cut out and use as templates. The children roughly divided a sheet of A3 cartridge paper into 6 squares and coloured each one in with oil pastels. They then glued layers of circles onto each square from largest to smallest. Finally, they added more circles and patterns with the pastels.